Just came across a great plain language version of ISO 14001:2004, definitely our cup of tea. For example, the plain language version of the two sections relevant to Nimonik (section 4.3.2 and 4.5.2) are clearer, though slightly longer, than the official version. Nimonik has two partners who can help you get up to speed on ISO 14001 without all the paperwork. In Toronto, contact Shirley Segev (shirley@greenmark.ca) who works with Green Enterprise Toronto. Outside of Toronto, visit our friends at ISO 14000 store where they offer useful documents and tools to build your own EMS or go DOWNLOAD some free EMS documents to get you started. to determine how these requirements apply to its environmental aspects. 4.5.2.2 The organization shall evaluate compliance with other requirements to which it subscribes. The organization may wish to combine this evaluation with the evaluation of legal compliance referred to in 4.5.2.1 or to establish a separate procedure(s). 4.3.2 Clarify legal and other requirements. Establish procedures to identify and clarify the legal and other requirements that apply to your organization’s environmental aspects. Implement procedures to identify and clarify the legal and other requirements that apply to your environmental aspects. Maintain procedures to identify and clarify the legal and other requirements that apply to your environmental aspects. 4.5.2 Evaluate legal and other compliance. 4.5.2.1 Evaluate compliance with legal requirements. Establish a procedure to periodically evaluate how well your organization complies with all relevant legal environmental requirements. Implement a procedure to periodically evaluate how well your organization complies with all relevant legal environmental requirements. Maintain a procedure to periodically evaluate how well your organization complies with all relevant legal environmental requirements. 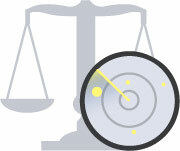 Record the results of your organization’s legal environmental compliance evaluations. 4.5.2.2 Evaluate compliance with other requirements. Implement a procedure to periodically evaluate how well your organization complies with other environmental requirements. Maintain a procedure to periodically evaluate how well your organization complies with other environmental requirements. Record the results of your organization’s other environmental compliance evaluations. Establish a procedure to periodically evaluate how well your organization complies with other environmental requirements.